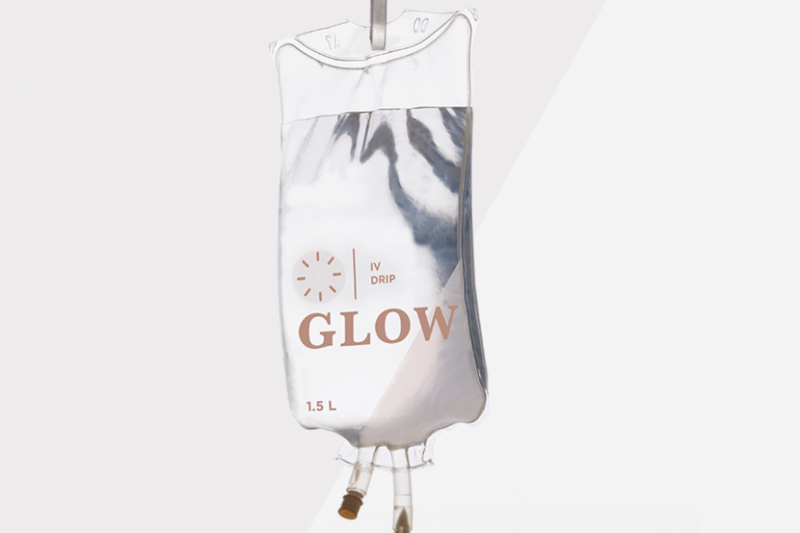 You may have heard of IV drip treatments as the speedy antidote to hangovers in recent years. But many wellness insiders now are making this quick, intravenous method of taking in nutrients a regular thing—thanks to its reputed ability to thoroughly hydrate you and add a vitamin, mineral and amino acid boost to your bloodstream in levels that would be impossible to absorb orally. How? Since it’s an IV, the drip bypasses your body’s digestive system—where nutrients can pass through without being fully absorbed, especially if you have gastro issues—and delivers nutrients in a more bioavailable form. In other words, the idea is that your body can put whatever’s in the IV to use, fast. The IV infusions have been credited with doing everything from enhancing your skin’s glow, to combatting jet lag, aiding muscle recovery, and improving your digestion (the most popular being the skin-enhancing and immunity boosts). And as wellness aficionados are incorporating the on-the-go treatment into their regular health routines, the market for IV solutions is expected to reach about $13.79 billion by 2024. Erika Schwartz, MD, of Manhattan’s Evolved Science, adds, “No one wants to get sick, no one wants to feel tired, and people want to feel like the best version of themselves—therefore they’re very interested in safe and medically sound new and exciting approaches to obtain this feeling.” But a warning: We’re talking about needles! (Duh.) Make sure you’re dealing with medical pros who are experts at administering the drips safely. The once celeb-only trend is going mainstream around the country: In addition to spots like NutriDrip in New York City and Infuse Wellness in Santa Monica, IV therapy-focused wellness centers have popped up between the coasts, at Thrive Drip Spa in Houston, Drip IV Therapy in Kansas City, The Drip Room in Scottsdale, AZ, and many others. Olivia Kim, an IV technician from the medical partners of NYC’s Modrn Sanctuary, notes that she’s had lots of company owners with wellness brands reaching out for advice on how to start IV therapy in more rural areas. “I really do believe that it is going to transcend outside of New York City,” she says. “We’re seeing more customers starting to apply IV therapy into their lives. I think it’ll start to get bigger and busier.” So, unless you suffer from aichmophobia (AKA fear of needles), prepare to have more options when it comes to your vitamin-and-mineral regimen.